The behaviour of vanishing cycles is the cornerstone for understanding the geometry and topology of families of hypersurfaces, usually regarded as singular fibrations. 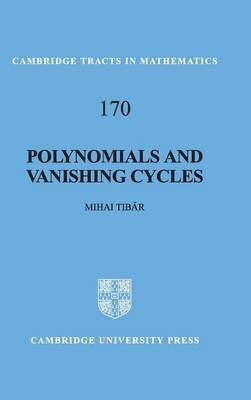 This self-contained tract proposes a systematic geometro-topological approach to vanishing cycles, especially those appearing in non-proper fibrations, such as the fibration defined by a polynomial function. Topics which have been the object of active research over the past 15 years, such as holomorphic germs, polynomial functions, and Lefschetz pencils on quasi-projective spaces, are here shown in a new light: conceived as aspects of a single theory with vanishing cycles at its core. Throughout the book the author presents the current state of the art. Transparent proofs are provided so that non-specialists can use this book as an introduction, but all researchers and graduate students working in differential and algebraic topology, algebraic geometry, and singularity theory will find this book of great use.